« Royal Wedding Rings… From Space! 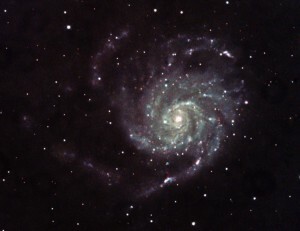 In May of last year, I imaged M101 through the four-inch Televue NP 101is with super shallow 60 second frames. Given the larger aperture (and image scale) of the AT10RCF as well as using 10x 10 minute exposures, the difference is pretty remarkable! If you look carefully, you can see some dust speck-induced “black circles”. Normally flats would take care of this problem, except that unfortunately I didn’t take any! What do you think? 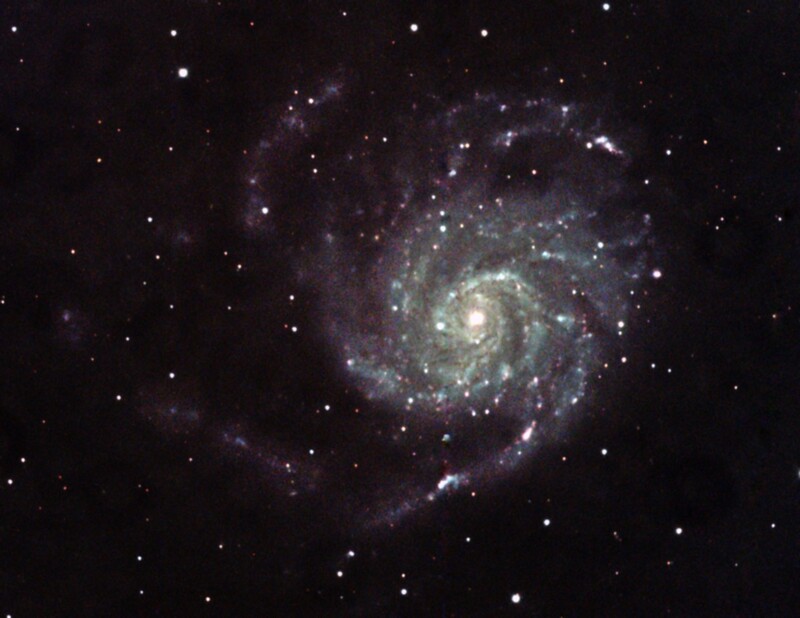 This entry was posted by admin on May 1, 2011 at 8:58 pm, and is filed under Galaxies. Follow any responses to this post through RSS 2.0.You can skip to the end and leave a response. Pinging is currently not allowed.